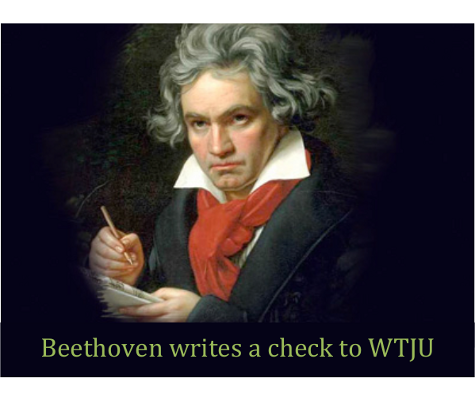 During the week of December 5-11, tune in to WTJU 91.1 FM to hear glorious classical music around-the-clock, presented by some of your favorite hosts. Programs will run the gamut of classical genres: from medieval music to 21st Century composers; from baroque to romantic; from solo piano to grand opera. The marathon will conclude Sunday, December 11 with a specially-chosen performance of Handel’s “Messiah” (another tradition of WTJU Classical Marathons). Check out the entire Classical Marathon program schedule, including show descriptions. Recent classical marathons have been fundraising record-breakers – and that’s another tradition we’d like to continue. Donate online today – either a one-time donation or a recurring monthly donation. Don’t forget, we record all our shows for convenient streaming up to two weeks from the date of broadcast. So, if you missed a show, you can still hear it at our Tape Vault.